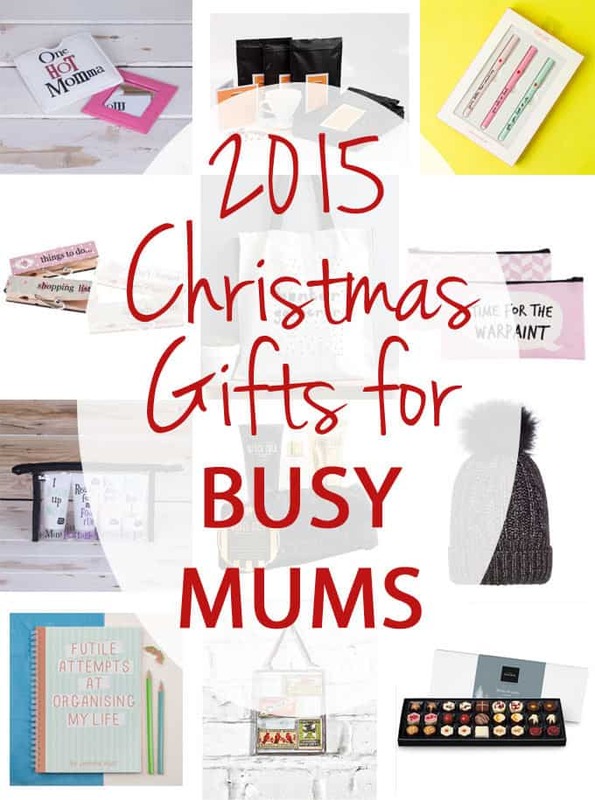 We almost all have a busy Mum we know that we need to buy a gift for (or we are one). So here’s my selection of festive faves. Some of them I’m been buying for the busy Mums in my life, my best girls, some are hints to my dear husband (the bobble hat Barnsey, I love the bobble hat!) and some are bits and bobs I’ve been sent to test out. This. Is. It. If you are in any doubt about what to buy for a woman in your life. This really is it. My dear pal Steph had a dream of sending moments of bliss out into the world, to help tired and frazzled women recover. This is her business and honestly? (Not just because she’s funny and brilliant and has the best fringe ever) these boxes are utterly wonderful. Every item is chosen with care and love to be the absolute best, most special, of it’s kind, whether it’s hot chocolate or lip balm. Beautifully wrapped, opening one of these boxes makes you feel like Charlie opening a golden ticket. 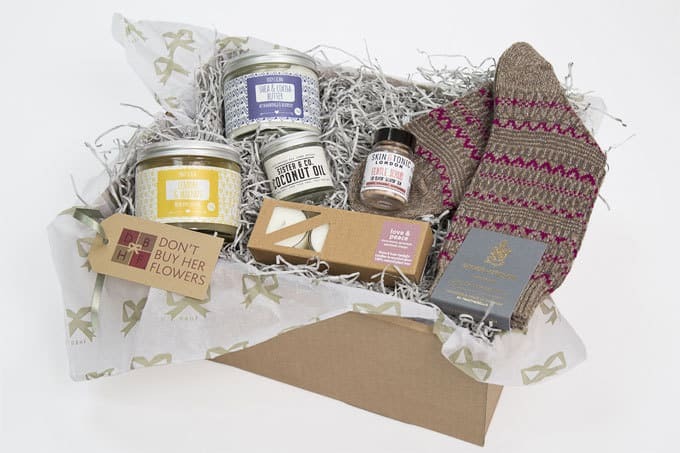 Do something wonderful for a lady in your life and buy her one of these… The boxes start from £17.50 plus postage and the one I have tried (above) was The Recovery package, priced at £41.00. This is a handbag essential made funny by The Bright Side. Really well made to withstand the traumas of the messiest of handbags, this is the best of all present combos: useful AND flattering! £7.50. Tired Mums need two things (when sleep isn’t an option): caffeine and a little TLC. I love the idea of giving a coffee loving Mum a subscription. The joy of receiving a surprise parcel through the letter box and then the moment of peace to enjoy an excellent cup of coffee is a real gift. Plus, caffeine – hurrah! Subscriptions start at £24 for 3 months and go up to £85 for 12 months. Having a bad day? Don’t worry, ‘you’re better than unicorns’… Sometimes we all need a pep talk and these little pens would brighten up the most grey day when pulled from a handbag. Cute and quirky, but sturdy and they write beautifully. £14.99 for a set of three. These nifty little magnetic clips are perfect for organising all of the front of the fridge chaos of family life. Their retro, quirky design would fit with almost any kitchen and they are up to the job of holding plenty of letters and to do papers. £4.00. I, like most Mums, are addicted to shopping bags. A quirky slogan and a smart design and I’m all over that. I love this bag from AngieB, perfect for hunter gathering in Sainsbury’s or Majestic Wine… A great stocking filler for busy Mums. £14.50. As I get older, I love make up more and more, each morning it makes me feel that little bit brighter and hides the late nights and early mornings. All make up loving Mummas need somewhere to keep their stash and this good sized bag is perfect. £7.00. A lovely little package of goodies from The Bright Side to encourage Mumma to have a spot of pampering for a moment or 5.. Including “I scrub up nicely” body scrub, “Ready for my foot rub” foot lotion, “You may now stroke me” body moisturiser and “Hand modelling here I come” hand cream, supplied in it’s own zipped bag ensuring it’s perfectly portable. £12.00. This little set would make a super gift as it includes delicious smelling goodies to leave you feeling pampered, and also a sequinned little clutch bag to go out and make the most of how bloomin’ gorgeous you’re looking! Perfect for the festive party season. £18.00. This chunky knit hat is perfect for keeping you warm and cosy on rainy school run walks. It’s metallic thread adds a touch of glamour to the dreariest of mornings. £16.00. I am a constant list maker and what better place to keep your million lists safe than in a personalised notebook?! I absolutely adore these little books and I’m sure most Mums I know would too. There’s over 300 designs, something for absolutely everyone who keeps their life in check with paper and pen. They start at £6.99 and are super easy to personalise with photos and wording online. Yumboxes are mainly sold as a kids lunchbox, but I think they are the perfect solution for lunches for grown ups too. You’re short on time, but you want to pack up something healthy without too much thought. With a Yumbox the thinking is done for you, just pop some leftovers from the fridge in and taa-daa grown up lunch is go! £24.95. Another shopping bag, this time for us Mum’s who MAY enjoy the odd tipple or two. This will raise a laugh even when heavily weighed down with carrots. Or gin. Lightweight, waterproof and with strong woven handles. £7.00. This nifty gadget is the ultimate in improving any morning routine for busy Mums. It wakes you slowly each morning, avoiding that sudden, grim shock of the alarm. I’ve been testing it out this week and already I can confirm that I feel so much brighter and more alert in the morning. The light is specifically designed to promote those hormones in our body that tell it to get up and go and suppress the “I need to sleep some more” hormones. Amazing isn’t it? 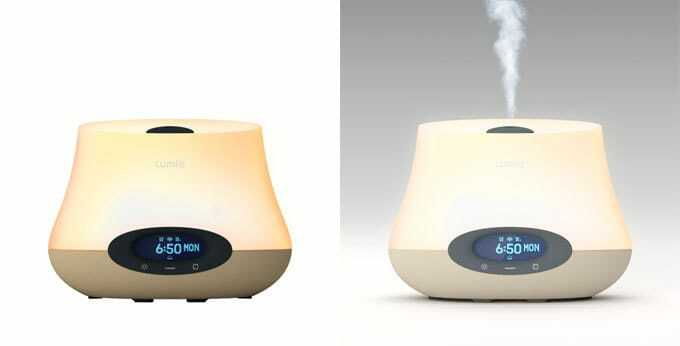 The Lumie Bodyclock includes an essential oil function, to combine the positive effects of the gradual sunrise and sunset with aromatherapy. A fantastic gift for any Mums who need a brighter start to the morning. The Lumie Bodyclocks start at £59.95 and the Lumie is £160.00. It’s party season and late nights involving and early children morning wake ups do not go well. A pack of these in a Christmas stocking would be gratefully received by me and any other tired Mummas wishing for bright eyes.. £6.99. A really easy way to display those little mementos of life in an elegant way. Perfect for filling a little corner with memories, right on trend. £10.00. We all need some chocolate in our stocking, and what could be better than your standard Christmas chocolate? A blissful dessert chocolate hybrid combo, that’s what! Featuring Apple Strudel, Mince Pie Brownie, Gingerbread, and Christmas Mess. £22.00. A totally different type of parenting book, it takes a hilarious look at all of those moments where we think “say WHAT? !” and reminds us that actually, we’re all in the same boat. We’re not doing to badly at that parenting malarkey and most importantly? You’re not the only one.. A great gift for Mummas. £9.99. Mum shampoo choices are often based on what’s closest at hand in the supermarket (just me?) so finding a giant set of some amazing hair products to keep her looks looking lush in the coming year would be a real treat. Tigi are always a winner and these huge bottles are great value. £16.99. Because alas, Christian Grey is probably not going to appear on our doorstep over the festive period, indulge her with a slightly sparkly and festive, 50 Shades moment for her nails. (These little bottles of polish are great value for trying new colours without being left with huge bottles too.) £13.99. My (deep and meaningful) resolution for 2016 is to look after my nails more. I am always, like most Mums, in a rush when I’m painting my nails, so HURRAH for OPI and this top coat to speed things along. A great stocking filler. £9.95. Disclosure: I was kindly sent some of the products in this guide, free of charge, to test out and some are what I’ve been buying myself. Products provided free of charge have in no way influenced their inclusion. This post also contains affiliate links. Lovely guide, I like so many of these ideas. You have great taste! Great ideas! I had no idea Rescue made a gum — how cool is that?! You’ve picked out some great gifts here! Always wanted a luminous clock to help me get up in he mornings!